As a leading share holder in the Internet Modem production and marketing, The Huawei Technologies, provide a internet connector software especially for Windows users, namely Mobile Partner. 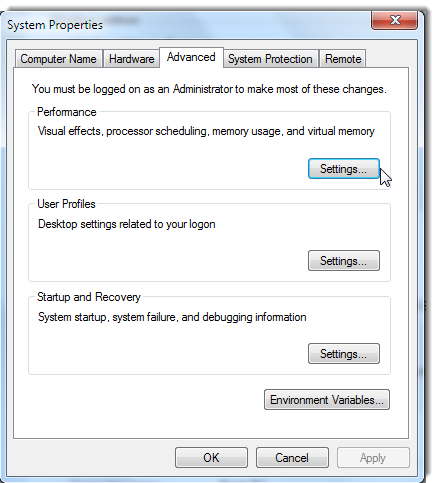 If you are a current user of the Mobile Partner software, you might have noticed that while the Software is running, it changes the Windows' settings somehow as the "Windows' content dosen't show up while dragging". The whole bunch of the Huawei Mobile Partner softwares has this issue and it is not solved till now. But here at TechnoTravel.in we have hacked the issue with some C# programming tweak that may help you prevent this embarrassment somewhat! Mainly we have two ways to fulfill our task which is to show "Windows' content while dragging" while the Mobile Partner Software is running. After some study on the source code, I've come up with this tweak (or Hack!). To use this app you'll just need to follow these simple steps. First navigate to the directory where the Mobile Partner is installed. Generally it is C:\Program Files\Mobile Partner. 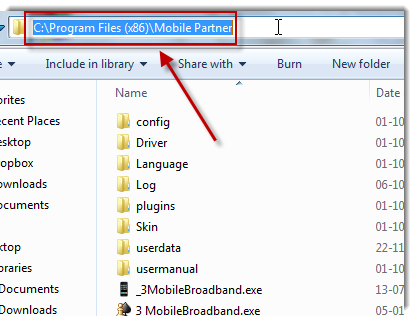 Into this directory, you'll find the Mobile Partner's executable file, from which the app actually executes. 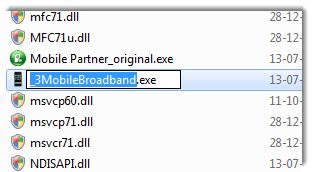 (In my version of Mobile Partner it's simply MobilePartner.exe) Now you need to rename the "MobilePartner.exe" to "_3MobileBroadband.exe". Now, download my self-made ('quickly'n'dirtily' made!) app from the following link. 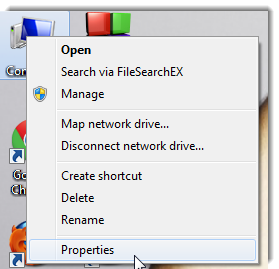 Now copy this "3MobileBroadband.exe" file to the installed location of MobilePartner as Your existing shortcuts and auto-start will now point to the launcher, which starts the old "_3 MobileBroadband.exe" and you are all done! Now restart MobilePartner and you'll see the problem is gone as you can see the "Windows' content while dragging", even when the Mobile Partner is running. If you don't want to do apply this above mentioned trick, that you'll have to apply this method after every execution of Mobile Partner Software. 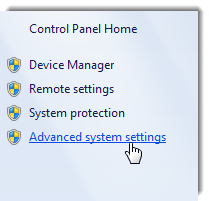 On that window, select "Advanced Syatem Settings"
Now click on "Settings..." button. 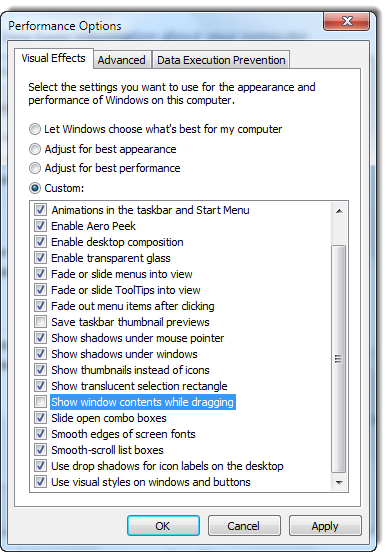 Now scroll down on the next window and check "Show Windows' content while Dragging". Now, the contents of the window will show up while dragging. But the worst part of this method is that you'll have to do all this process every time you use Mobile Partner, which is quite cumbersome.